Ever been told you have a flair for planning parties or events? If so, you may be wise to consider a party franchise. Offering assistance to help others throw a party that will dazzle can be a rewarding business for the right entrepreneur. From coming up with ideas and themes to crafting a menu to organizing the necessary people, a party franchise is a fun and lucrative way to use your talents to help others have fun. About 18 million events and meetings are organized in the U.S. every year. Events and meetings produce $280 billion in spending and $66.8 billion in labor income. The events industry contributes $115 billion to the U.S. GDP. The event planner profession is expected to grow 10% from now to 2024, faster than the average. When it comes to party franchise options, you can select from businesses that concentrate on children’s parties, weddings or event and conference planning for businesses and other groups. Whichever area you decide to focus on, the key is ensuring that your efforts are focused on providing a great time to all attendees. People love a party, and if you have the ability to pull together gatherings with ease and style, then this is a great franchise option for you to consider. 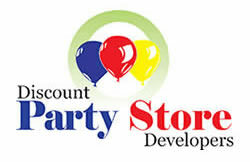 Why Consider a Party Planning Franchise? For some people, party planning is a pleasure. For others, the effort robs them of the ability to enjoy the festivities when they are happening. If you fall into the first group, then a party franchise could be a great way to explore your interest in owning your own business. Party franchises allow you to share your skill with your clients so that they have the opportunity to enjoy their own event. If you know how to create a memorable event, a party franchise could be the right answer for your future career goals. With more than 120 retail locations nationwide, Learning Express Toys is the country’s leading specialty toy store franchise selling educational books, games, toys, arts & crafts, fashion products and much more.